standard-title Contact Us https://centralpetvet.com/wp-content/uploads/dogs.png Central Hospital for Veterinary Medicine is open 24 hours a day seven days a week, including holidays. Walk-ins and emergencies are welcome. 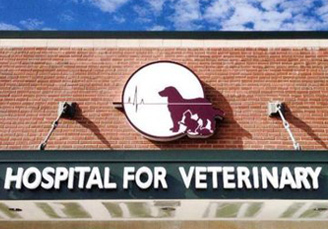 Central Hospital for Veterinary Medicine is open 24 hours a day seven days a week, including holidays. Walk-ins and emergencies are welcome. We were founded in 1975 by several local general veterinary practitioners from greater New Haven who collaborated to pool their resources and develop a Central Hospital that would improve the welfare of small animals (primarily dogs and cats). Over 150 veterinarians refer patients to us for their emergency and specialty care every year. We are open 24 hours a day 365 days a year.